I have been asking for 6 months or so, as to when calculated fields will be available. Have you started any development on this yet? Its a crucial feature to have in order to be competitive. I am very sorry to inform you, but we can not say when the calculation feature will be implemented. Our developers are extremely busy, and this task really depends on the workload. Currently, the priority status of calculation feature request ticket is set to NiceToDo. I have also added a comment to mentioned ticket in order to bring it up. Once the feature will be implemented we will update related forum threads. Thank you very much for your patience in this matter. I would second this request. 'Calculated field' is the sole feature that is keeping my 450 location retail chain from using Jotform as its forms platform. I love Jotform and I have pitched several scenarios where Jotform plays a critical role in information collection. However, there is always a point where a calculated field is necessary to complete easy math. It would really make the product bulletproof. For what its worth, appreciate all the hard work that goes into Jotform! I agree on the advantage of a calculated field where simple arithmetic, date calculation and string concatenation are supported. With a derived field, it may be step towards allowing ftp / dropbox integration to use the derived field as the folder name to avoid overlaying of file names. Really looking forward to the feature. Thank you for supporting this and sharing your thoughts. We will let you know once the calculation option is available. However, there is still no ETA for this. Our Developers have recently implemented Google Docs Integration, this is probably not something you are looking for, but you can do some math there. Is there any progress on this post? I would like to see the calculated fields too! Have you looked at our Purchase Orders field? It is found on the Payment Tools. You can use it to calculate (add only) total of products. 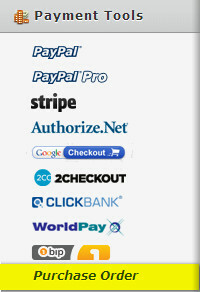 It is not linked to a payment gateway. Do you think it can be somehow customized to meet your needs? If so, please start a new thread and let us know what you are hoping to accomplish and we'll be glad to look into it for you! As per the update on this request, unfortunately, we currenlty don't have any ETA on this feature, We appreciate your input! I have to fourth or fifth this request. Other form builders such as Formstack offer calculating fields and I would love to see it in Jotform because the form builder in JotForm works a bit better. This should be moved from "NiceToDo" as it has been being requested for almost three years now. As my colleague have mentioned, have you checked the Purchase Orders field? as this might be what you need. And again, as per my colleague suggested, if this is not what you are hoping to achieve, it will be great to start a new thread for it.